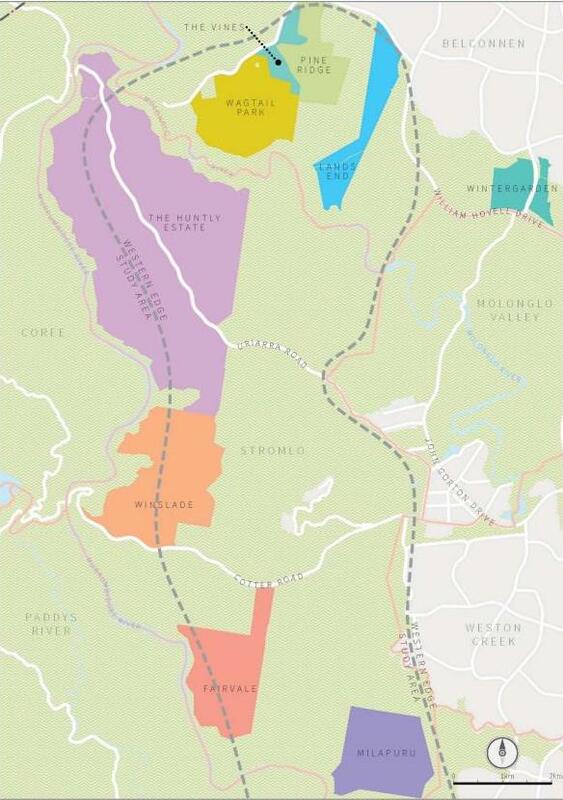 Former Land Development Agency land purchases west of Canberra. Source: Auditor-General. The conduct of the former Land Development Agency continues to haunt the ACT Government with a new report from the Auditor-General identifying probity issues and a lack of transparency in its purchase of rural land on the western edge of Canberra. ACT Auditor-General Dr Maxine Cooper said in her report, Assembly of rural land west of Canberra, that there had been a disconnect in the priorities of the work undertaken by the former LDA and the Environment, Planning and Sustainable Development Directorate (EPSDD). The audit also found that probity was lacking, and there were probity risks in some of the actions of the former LDA in its purchase of the properties, as well not enough documentation. Dr Cooper said that between 2014 and 2017, the LDA spent $43 million buying 3,378 hectares of rural land, of which 3,274 hectares is in the Western Edge Study area, as a potential future urban development front, although there is no certainty of this. The land was identified in the 2012 Planning Strategy as the subject of future investigation but six years on this has not commenced. “Given the ownership by the ACT Government of the rural lands, planning studies that will inform the update of the ACT Planning Strategy (2012) need to be independent of existing land tenure and cover the whole of the Territory,” Dr Cooper said. Dr Cooper said the ‘disconnect” between the LDA and the EPSDD meant either there would be delays in the identification and release of potential urban development fronts or ‘suboptimal’ use of resources in securing and maintaining properties that may not become a future urban development front. ‘In the future, the ACT Government needs to give priority to better managing the integration of the timing of planning studies and land purchases,” Dr Cooper said. Dr Cooper found there was a lack of accountability and transparency in the engagement and management of agents’ services, and in the negotiation and decision-making leading to the purchase of the Fairvale property in the District of Stromlo. “Basic procurement and contract management practices for the engagement of agents and advisors were also absent in some instances, with some services provided free of charge, and with inadequate management and scrutiny by the Agency, while some services were paid for without any evidence of them being requested or required. The LDA’s management of the purchase of Fairvale was irregular and presented a probity risk,” the audit found. The audit said the long-term land use for the Western Edge Study area needed to be defined. “It is important that the Chief Planning Executive progresses a Territory-wide, independent planning study so that there is an updated planning context for decisions regarding the long-term land use of the Western Edge Study area. If such a study is undertaken, it is important that the community is aware that the Chief Planning Executive has advised that it would be independent of existing land tenure,” it said. Wagtail Park (12 hectares of Block 1601 District of Belconnen). The Government has said not all of the purchases would be used for greenfield development, with the land earmarked for a range of uses including environmental offsets or environmental management outcomes such as habitat preservation or improvements, or for the provision of utility infrastructure. The report made nine recommendations directed towards the Suburban Land Agency, which was created out of the former LDA. The audit report can be found here. I caught some of the Assembly estimates the other day. The government deciding to buy this land before having conducted the study as to whether the land is suitable for housing or holds some special environmental value is disgraceful in itself. That’s then compounded by the government paying significantly more than some valuations. We have Barr out there saying the $7m paid for one block that was valued at $4m is immaterial as it will eventually sell for $100m. However someone has received a big windfall of taxpayer money, and how does he know that it will sell for $100m when the studies haven’t been done to see what its best use will be? The other thing his statement illustrates is that his government is driving the high land prices and keeping the ACT an expensive place to live. With more land release or lower selling prices, Canberra property would be more affordable. More land release means you need more land. Where do you get more land in the ACT? Yup by buying up the rural leases on the edge of the current developed city. Tell me again where were these blocks of land they brought? The government has not even started its evaluation of land in that area, despite it being on the agenda since sometime like 2006. What I learned from the bit of estimates that I watched was that until that evaluation gets done, the land agency doesn’t know if the land that was bought is suitable for housing or if it holds significant environmental protection value with rare grasses for example. For all the government knows, that land it bought for $7m against a $4m valuation isn’t good for construction of a new suburb. Alternatively it might be ok for construction, but have a mini eco system that needs protecting. Or it might be no good for construction and hold no real environmental value, meaning its only value is as grazing land and we’ve paid $3m more than its worth and are incurring ongoing costs in holding it. The government speculated with our money and it remains to be seen if it was worthwhile or not. Then there’s also the matter than someone made a $3m windfall profit on that sale – surely something for an anti corruption body to have a look at if the government ever gets it established. Who were the owners of the properties who received the windfall profits? Or is this information “commercial in confidence”. how does any of that relate to what Garfield has said? Surely you would determine whether the land was suitable for development before purchasing? It’s not like the land is going anywhere nor is it needed for development any time soon. And none of this means that you would pay significantly over the value of the land, it’s basically a direct financial gift to the previous leaseholders that hasn’t fully been explained. The fact that they may or may not be able to develop the land into more expensive residential areas is irrelevant to what the government should pay for it. The AG’s recommendation that the Chief Planning Executive progress a Territory wide independent planning study to provide a context for decisions about the appropriate use of the land is timely. The current review of the ACT Planning Strategy, if competently undertaken, should provide this context. It would evaluate the merits of possible greenfield development areas including Kowen, west Murrumbidgee and the land purchased by the LDA. The assessment should include travel, infrastructure and environmental costs of the alternatives. As indicated by the AG, the assessment should be independent of land tenure.This would reduce the chance of the review being used to justify the purchases. Which is exactly why it won’t happen – doesn’t fit with Labors ‘narrative’.